We waked, in the two cabins in those happy days, just before the sun came up, when the birds were in their loudest clamor of morning joy. Wrapped each in a blanket, George and I stepped out from our doors, each trying to call the other, and often meeting on the grass between. We ran to the river and plunged in,—oh, how cold it was!—laughed and screamed like boys, rubbed ourselves aglow, and ran home to build Polly’s fire beneath the open chimney which stood beside my cabin. The bread had risen in the night. The water soon boiled above the logs. The children came laughing out upon the grass, barefoot, and fearless of the dew. Then Polly appeared with her gridiron and bear-steak, or with her griddle and eggs, and, in fewer minutes than this page has cost me, the breakfast was ready for Alice to carry, dish by dish, to the white-clad table on the piazza. Not Raphael and Adam more enjoyed their watermelons, fox-grapes, and late blueberries! And, in the long croon of the breakfast, we revenged ourselves for the haste with which it had been prepared. 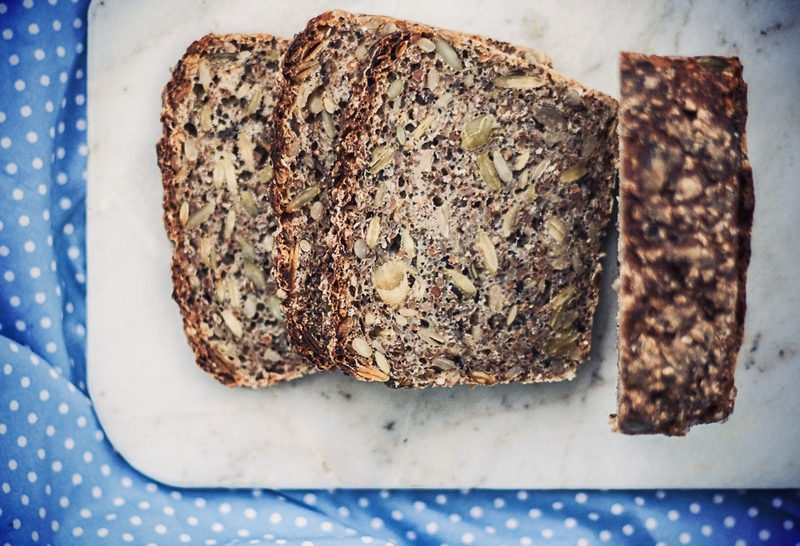 If I came to you today with the perfect recipe for rugbrød – which I’ve come to know as danskt rågbröd, literally, Danish rye bread – then I think this story would have no point in being told. It might have started on our way to Lövnas. We stopped in the closest town, an hour or so away from the cabin, at the small supermarket facing the gas station. And although I was still dozy from our trip, I remember – with an unusual crispness – picking a small bag, much heavier than it looked, dark and packed with seeds, with five or six thin slices of danskt rågbröd. I didn’t think much about it then. Not that it would send me into a relentless search for my favourite homemade rugbrød or that it would be the start of many months (and possibly years, although it’s something I can’t say just yet) of breakfast tartines. I also remember Kalle putting two yoghurt cartons in our basket. Perhaps, because they read körsbär [cherry], but more plausibly, because they were called fjäll [mountain], a word I’d heard – and not quite understood – when Kalle spoke it. “Vi ska åka till fjällen”. The next morning, we had our first breakfast at the cabin. And while everyone else could only think about what they’d top their bread with, I was studying my deep-dark slice of rågbröd. Yes, nobody talks about the bread. The foundation of a tartine, really. That one had the colour of wood bark and the smell of roasted pumpkin and sunflower seeds. Whole rye berries barely held together with a sour rye dough. And linseeds dotted throughout. The very same that created the obsession I have for rågbröd. As I’ve told you earlier, I’m not coming today with a perfect recipe. More of the first part of a long study. Eventually, I’d love to be able to make a danskt rågbröd that’s packed with more rye berries than dough, feels moist yet crunchy and has lovely dark-brown undertone. Today’s experiment was delicious. In fact, I could only take a picture a few days after I’d baked it and right before it had been devoured. I’m not quite happy with how light the crumb came but I made the very stupid decision to bake mine at 150°C (a wrong educated guess as I assumed the baking would be the same as for a filmjölksbröd – my favourite! but I digress) – so I think I’ll definitely have to try the same recipe again with a higher temperature and perhaps a longer baking time as since then, I’ve read tales of breads baked for as long as twelve hours. PS. Maman si tu lis cet article, je pense que tu aimerais ce pain! On the night before the day you’re planning to bake your bread, combine all the ingredients for the soaker; cover losely with clingfilm and allow to rest overnight at room temperature. The next morning, butter and line a 1.5L loaf tin with baking paper. Add the remaining ingredients (making sure to dissolve the yeast into the water, as the dough doesn’t get kneaded) to the soaker and mix well until smooth. Depending on your flour you might need to add a little more water (or less). The dough will have the consistence of a runny batter, almost like a cake batter with oats inside. Scrape the dough into the prepared loaf tin and proof at room temperature for 2 hours. About an hour into the proofing, preheat your oven to 250°C (and now, it will differ from what I did – bake at 150°C, which was silly and really, don’t do it! – I’m leaving the original baking instructions even though I haven’t tried for myself). After 2 hours, brush the top of your loaf with water and bake at 250°C for 10 minutes. Reduce the oven temperature to 200°C and bake for a further 50 minutes or until dark-brown and a probe inserted into the centre of the loaf reads 98°C. As soon as the loaf comes out from the oven, place inside a plastic bag or wrap in clingfilm and let it cool down for at least 6 hours before cutting the loaf into thin slices. My topping of choice is butter, flaky sea salt and radis! As this is a straightforward dough and all I want to highlight for personal reference is the ratio of ingredients, the percentages shown below are not bakers’ percentages, but composition percentages. I had to add an extra 70g of water (in reference to the recipe linked above) as the finished dough seemed on the drier side. And I also left out the raisins (might want them next time) and walnuts – as I didn’t have any at home then. The recipe calls for ingredients that might be slightly hard to come across outside of Scandinavia (really, I have no idea, let me know in the comments if you’ve ever seen it), like rågsikt [sifted rye flour], which is a flour blend made of 60% wheat flour and 40% finely milled and sifted rye flour. I used the ICA eco rågsikt and also ICA vetemjöl in place in plain flour. In case you don’t have any rågsikt available near you, I suggest using 100% rye flour – something I’m planning on trying next time I make this recipe. With the addition of yeast, this recipe is almost instant (if you don’t account for the soaker). Day minus 3: Two or three days before you want to bake, take out your sourdough from the fridge (if that’s where you keep it, in case you feed it/bake everyday, then jump to the next step!) and feed it twice a day at 12 hour-intervals. Day 1 (evening): Mix the ingredients for the soaker. Let to rest at room temperature overnight. – Add the remaining ingredients and scrape the batter into a 1.5L loaf tin. – Fermentation = at room temperature, for around 2 hours. – Brush the top of the loaf with water. – I need to find the “right” baking settings for this bread as I’d like its crumb to be darker and also perhaps slightly chewier. Maybe increase the amount of rye berries, add malt extract? – As mentioned above, I’d like to try this recipe again using rye flour instead of rågsikt. And raisins too! – A video, which shows the texture of the finished dough and the process of making rugbrød in Denmark. I might try the recipe next time too – if you wanna join me in #chasingrugbrød! – The table of Danish rye bread elements. I don’t mind that it’s on the pale side. I think the crumb shot looks wonderful. Look at all these seeds! I’m glad to see you’re posting recipes (and on with sourdough, on top of that) again and I can’t wait to hear more about your rugbrød experiments. Are you handling gluten okay these days? I know sensitivities can come and go, I’m curious about your experience. Hi Camille, I was always ok with gluten although my doctor thought my thyroid issues might be related to it. I should have stopped/stop eating gluten for at least six months to check on my TSH levels with and without gluten, but it’s just been impossible. It’s one of those things I know I should do and yet. I’m just too passionate about what I do and although my thyroid illness is difficult to deal with sometimes (and the thought of taking a pill every day is a bit depressing), I’ve learnt to live with it for the past ten years now. Are you gluten intolerant? I can imagine how difficult/impossible that proposition would be. Hard choices indeed! I have not been diagnosed as gluten intolerant myself, but I have digestive issues and I am trying to figure out which foods agree with my system and which don’t. Gluten (or at least wheat) seems to be an issue, but it shifts over time so it’s hard to be sure. Aw I hope it will get better. It’s quite concerning, really, to see such a raise in food allergies over the past few years. Makes me really wonder about the food we eat and how it’s produced/manufactured. I think I might try to make this bread this weekend. How much raisins did the recipe call for? Wow, this is so funny! I recently found your site and I’m now following you with much joy. 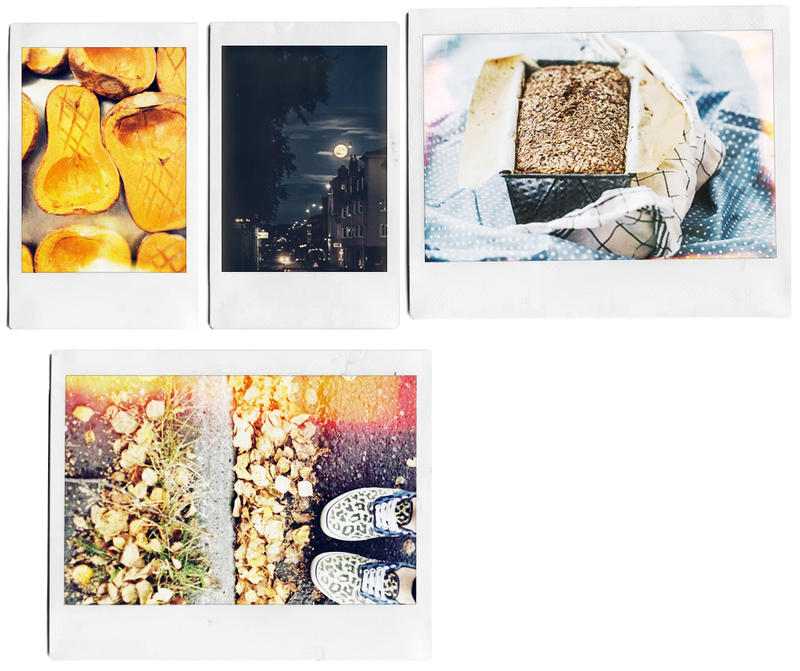 And today; a post about rugbrød! I’m from Denmark and have always lived here. Here, rugbrød is really taken for granted. You can buy it everywhere in all classes, prizes and so on. From you take your first bites of “real food” as a baby you eat your rugbrød, it follows you in the kindergarden, in school and actually almost every lunchbox the rest of your life. Then, growing up and finding out that other countries don’t have rugbrød… it’s unbelievable! At first, many danes love to get away from rugbrød when they go to other countries but at the end of the trip they ALL miss rugbrød. Thank you so much for your comment Josefine. Such a wonderful hindsight into the Danish food culture! En fait, je suis votre blog depuis un peu après le début de l’aventure (l’ancien blog)… Je fais enfin un petit commentaire maintenant que j’ai mon propre blog ! Ce pain à l’air bon, j’ai justement fait un levain qui attend dans le frigidaire depuis 2 semaines oups.. ! Bonjour Mariane, merci pour ce chemin que nous avons fait ensemble. Je vais aller découvrir ton blog de ce pas! Merci, c’est très gentil ! J’espère que vous deviendrez une lectrice habituée ! !